A tablet press machine vital in the pharmaceutical industry for the simple reason that a large portion of the drugs prescribed & administered is in the tablet form. This is a machine that uses compression force to create a tablet. These can be several shapes and sizes. Although this is mainly used in the pharmaceutical industry, it also has several applications like in the cosmetic industry. There are two types of the tablet press machine, the single station, and multiple stations. The single station is a fairly low capacity machine while the multiple capacity machines is the one that can handle large scale production demands like 70,000 tablets/hour. The multiple station machine also has a more complicated design & structure and is also called a rotary press. Higher output: The hourly output of a rotary machine is tens or hundred thousand per hour however, that of a single press machine is just about 100. This output is a lot more. 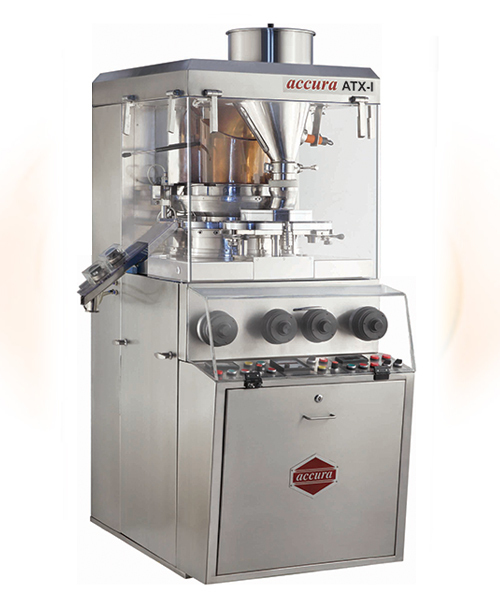 More Efficient: It is an automatic machine, hence the entire process of filling the powder, tablet pressing, rejecting and processing in streamlined. This makes it a more efficient machine compared to the other one and saves a lot of time and labor. More Hygienic: This machine is fully automatic and also fully enclosed, thus reducing the chances of contamination. The global demand for tablet press machines is on the rise; the fact that the global pharmaceutical industry is expected to grow at an annual rate of 10% is fueling this growth. The general issue of counterfeit drugs is forcing pharmaceutical companies to invest more in high-quality Pill Press machines. This would mean more companies looking to update their aging machines to buy new Tablet making machines with updated technology. There are five main global markets like North America, Europe, Asia-Pacific, Latin America, and Middle East & Africa. There is a steady increase in the demand for Tablet Making Machine in the Asia-Pacific and Middle East & Africa regions. The main reason for the increase in demand in the Asia Pacific region are countries like India and China. (Due to the high population in these countries). The Indian pharmaceutical industry is expected to grow at a CAGR of 15%; at the same time, China is also showing growth. This will result in a larger demand of Double Rotary Tablet Press machines in the Asia (Asia Pacific) region. The increase in the demand for the tablet packing machine market in Europe can be credited to Germany where there is expected to be a 15% increase in demand. Rise in chronic and infectious diseases in many areas around the world. The need to replace the aging machines with update machines due to advancements in formulations and drug delivery systems. Increase in the aging population causing an increase in the requirement for medication in tablet form. The global Tablet Press Machine market is predicted to rise by CARG of 8.8% in the period between 2017 and 2022. This means it will increase go from 3453 Million in 2017 to 5268.8 Million in 2022. Thus, there in a global increase in the demand of tablet press machines, especially in Asia and Africa.